Lever hoists are designed so that an operator can exert a force, via a lever pull, to lift or pull a rated load and apply and release tension on that hoist. 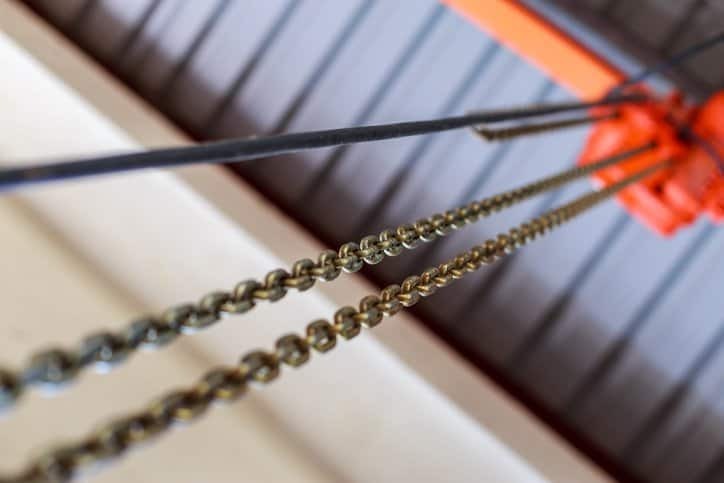 This lifting capability gives the lever hoist an expanse of applications, and, whether the equipment is single reeved or multiple reeved, chain, wire rope, or web strap, or intended primarily for lifting, pulling, or tensioning, assuring the reliable performance of lever hoists is crucial. ASME HST-3-2017: Performance Standard for Lever Hoists establishes performance guidelines for chain, wire rope, and web strap lever hoists. The standard’s specifications and information is applicable to ratchet-and-pawl operation with roller-type load chain lifting medium, welded-link-type load chain lifting medium, web-strap-type lifting medium, and wire wire-rope-type lifting medium, as well as friction-brake operation with roller-type load chain, welded-link load chain, web-strap-type lifting medium, and wire-rope-type lifting medium. The ASME HST-3-2017 standard does not apply to hoists that have been designed for handling high-voltage lines or for lifting or supporting people. Furthermore, hoists that have been damaged, misused, abused, or otherwise malfunction are not covered by the standard. In addition to listing the anticipated operating characteristics (which allow the operator to adjust loads in controlled increments with the appropriate mechanisms) and performance characteristics (i.e. number of chains, rated load in kg, headroom, weight, and lever length) of lever hoists, ASME HST-3-2017 has a section for load testing of new and altered hoists. This section also touches upon guidance for the operation and maintenance of loads. Any equipment selected for use with ASME HST-3-2017 should be used in accordance with ASME B30.21-2014: Lever Hoists, Chapters 21-2 through 21-4. While ASME HST-3-2017 is not applicable to hoists used for marine and other applications as required by the U.S. Department of Defense (DOD), this very subject is the focus of Nonmandatory Appendix A featured at the end of the ASME HST-3-2017 document. This appendix provides performance guidelines beyond those given in the standard, and it is intended to replace the requirements of MIL-H-904 for manually lever-operated chain hoists. It also details information on classification, mechanical requirements, characteristics, and load testing of these hoists. ASME HST-3-2017: Performance Standard for Lever Hoists is available on the ANSI Webstore.